Only 45k Miles, Vortech Supercharger $9500, 45th Anniversary Edition, Heads-Up Display, Sharp!! The 2012 Chevrolet Camaro is a RWD pony car powered by a 3.6-liter V6 engine with a Vortech supercharger ($9500) done by Overkill Tuning producing 400 plus hp to the wheels with a 6-speed automatic transmission. Fuel mileage falls within an EPA estimated range of 15 mpg city to 30 mpg highway. Safety is comprised of advanced airbags, OnStar, anti-lock braking, vehicle stability control, and tire pressure monitoring. 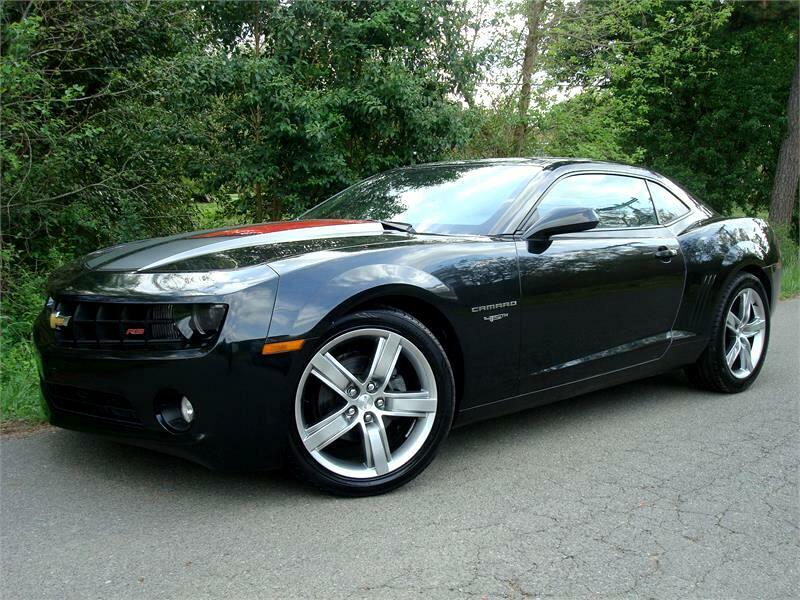 This Camaro comes in Carbon Flash Metallic over Black leather heated seats as the 45th Anniverisary Edition! Other options featured is the RS package, rear camera, heads-up display & Boston Acoustics stereo. It comes as a 2 owner Carfax vehicle with fresh service & tires! Message: Thought you might be interested in this 2012 Chevrolet Camaro LT.